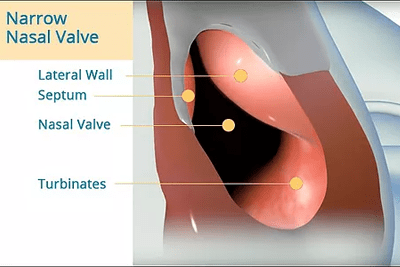 Narrowing of the nasal valve may be caused by an enlargement of any of the three primary structures, decreasing the overall nasal airway area. The Septum, Lateral Wall, and Turbinates form a triangular area known as the Nasal Valve. If any of these tissues enlarge, nasal airway size is reduced, causing lower airflow. The Turbinates are fingers of tissue that direct and warm air as it enters the nasal cavity. The Lateral Wall is the side tissue that forms the outer wall of the nose. 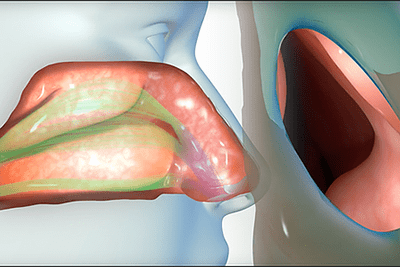 Nasal Airway obstruction has traditionally been treated by Ongoing Home Remedies or Traditional Nasal Surgery. Today there is a third option: VIVAER® Non-Invasive Nasal Airway Remodeling. 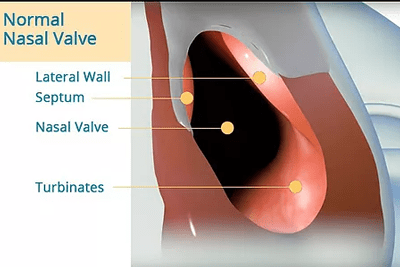 The VIVAER treatment, performed at Illinois Sinus Center, is a non-invasive procedure with no cutting. Your nasal valve area is gently and permanently reshaped using low-temperature radiofrequency energy. Immediately after treatment, you’ll begin to experience a noticeable improvement in nasal breathing.